BACKGROUND: Prior authorization (PA) is a management technique that has been implemented to manage the utilization of expensive drugs and to improve the precision of drug prescribing. PA requirements may incentivize physicians to document adverse effects, sometimes falsely, to meet the eligibility requirements. OBJECTIVES: To identify documentation patterns that may facilitate the quantitative analysis of physician gaming and underreporting behaviors associated with the prescribing of angiotensin-converting enzyme (ACE) inhibitors in a primary care setting, and to evaluate the effect of a PA requirement on the documentation of adverse events as a way to receive approval for more expensive drugs. METHODS: We conducted a retrospective analysis of physician electronic reporting of adverse effects associated with ACE inhibitors before and after the revocation of a PA requirement for angiotensin receptor blockers (ARBs) between 2004 and 2013 in an Israeli HMO. The data were stratified into 2 groups—patients who were newly prescribed an ACE inhibitor or those who had been receiving an ACE inhibitor for at least 1 year. 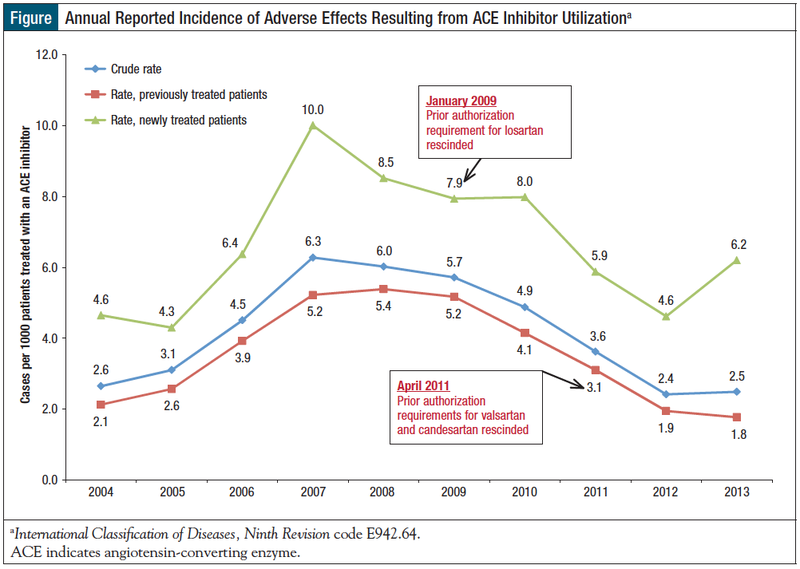 The annual rate of adverse events related to ACE inhibitors (ie, the number of reported cases of adverse events per 1000 patients receiving an ACE inhibitor) was calculated from data captured on the date the events were first reported for the 5 years before and 5 years after the revocation of the PA constraint. RESULTS: A total of 151,845 patients treated with ACE inhibitors were identified during the 10-year study period. The reported adverse events among patients newly treated with an ACE inhibitor peaked in 2007 to 10 cases per 1000 patients, and gradually decreased to 4.6 cases in 2012, which was the year after the PA requirements for the ARBs valsartan and candesartan were rescinded by the HMO. Among previously treated patients, adverse events rates decreased from a high of 5.4 per 1000 patients in 2008 to 1.9 in 1000 patients in 2012, the year after the PA restraints for the last 2 ARBs with a requirement were revoked. CONCLUSIONS: The PA requirement influenced physician propensity for reporting drug side effects, possibly encouraging reporting inaccuracies. The decline in the incidence of reported side effects, in both subpopulations in the study, with the revocation of the PA requirement confirms our hypothesis that physicians were incentivized to document the side effects related to ACE inhibitors to meet the eligibility requirements for the approval of an ARB by the HMO. These observed misconceptions that ARBs are pharmacologically superior to ACE inhibitors raised suspicion that some physicians may be “gaming” the system—that is, physicians may be falsely documenting side effects to obtain coverage for pharmacotherapy that they believe to be of superior efficacy, contrary to the position of the HMO. These suspicions became less of a concern by April 2011, when generic equivalents were marketed for all ARBs available in Israel, which significantly reduced their costs.4 The PA requirement was then rescinded. The purpose of the study was to test these hypotheses by identifying documentation patterns that may facilitate quantitative analysis of physician gaming and underreporting behaviors associated with prescription of ACE inhibitors. The objective of this study was to evaluate the trends in electronic reporting of side effects resulting from treatment with ACE inhibitors that may be associated with the enforcement and subsequent revocation of a PA constraint in a primary care setting. 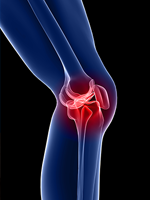 This study was approved by the Leumit Health Services Institutional Review Board. Data on all dispensed prescriptions for ACE inhibitors that were available in Israel between 2003 and 2013 (Table 1) were captured from Leumit Health Services’ data warehouse. Queries using the distinct individual identification numbers for these patients were then run to capture all episodes of primary care physician visits during which an International Classification of Diseases, Ninth Edition (ICD-9) diagnosis code E942.64 (ie, adverse effects resulting from ACE inhibitors) was registered in the patient’s electronic health record (EHR). For each year between 2003 and 2013, based on data captured on the date the side effects were first reported, we calculated the number of patients treated with ACE inhibitors, the number of reported cases of adverse events, and the rate of adverse events reported per number of treated patients (ie, the number of reported cases of adverse events per 1000 patients receiving an ACE inhibitor). The annual data were stratified by new patients and patients who previously received an ACE inhibitor. The data capture was performed using IBM’s Cognos Business Intelligence software, version 10.1.1. The results of the queries were downloaded into Microsoft Excel, version 14, spreadsheets for analysis. We identified 151,845 patients who received ACE inhibitors during the 10-year study period, 2331 of whom had the ICD-9 code E942.64 registered in their EHR (crude rate, 15.4 cases per 1000 treated patients). The population demographics and distribution of physician specialties are presented in Table 2. The data, which were stratified by patients receiving an ACE inhibitor for the first time and previously treated patients, are presented in Table 3 and in the Figure. The annual reported rate of documented side effects (electronic documentation of the ICD-9 code E942.64) among previously treated patients peaked in 2008, reaching 5.4 reports per 1000 patients, which decreased to 4.1 reports per 1000 patients the year after the PA requirement was rescinded for losartan, and which later plummeted to 1.9 reports per 1000 patients in 2012, the year after the PA requirements for valsartan and candesartan (the 2 remaining ARBs under a PA constraint) were revoked. A similar trend was observed in patients who were newly treated with ACE inhibitors, with a decline already observed during 2008, the year before the PA requirement for losartan was rescinded. The findings of this large, 10-year study in a nationwide managed care organization clearly indicate an association between the PA requirement under investigation and physicians’ propensity for reporting the side effects of drugs. The decline in the incidence of reported side effects in newly treated and previously treated patients on the revocation of the PA requirement (Table 2, Figure) supports our hypothesis that physicians were incentivized to document the side effects related to ACE inhibitors to meet the eligibility requirements for the approval of ARBs. Furthermore, analysis of the stratified data indicates trends in the underreporting of side effects, as well as possible gaming behavior to meet the PA criteria. To our knowledge, this is the first study to investigate these aspects of the PA process. Of particular interest are the documentation patterns observed between 2006 and 2008, which was the 3-year period before the annulment of the PA requirement for losartan. Among patients newly treated with an ACE inhibitor, we observed a 15% decline in electronically documented side effects between 2007 and 2008 (from 10 cases to 8.5 cases per 1000 patients). Although the trend of increased reporting rates persisted between 2007 and 2008 (5.2 vs 5.4 per 1000 patients, respectively), among patients who were previously treated with an ACE inhibitor, an attenuation of this trend is evident compared with previous years (from 3.9 per 1000 in 2006 to 5.2 per 1000 in 2007). Because drug companies often stop marketing a drug a year before it goes off patent, a possible explanation for the decline in reported side effects with ACE inhibitors may be that the year before the release of generic losartan to the market (ie, 2008), the marketing campaign for brand-name losartan had already been cancelled. Accordingly, in 2008, physicians might have been less exposed to pharmaceuticals “detailing” compared with previous years. The decline in the reported side effects in the post-PA period may indicate gaming behavior in this defined physician population. 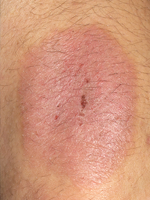 This finding is most notable in the population of previously treated patients, because the side effects of ACE inhibitor treatment generally appear shortly after the initiation of therapy. Our experience processing PA requests leads us to 2 possible explanations for the “gaming” behavior under a PA constraint. First, as previously suggested, physicians might have believed that ARBs were therapeutically superior to ACE inhibitors and were therefore incentivized to falsely document cough for what they believed to be for the benefit of their patients. Second, we suspect that portions of the findings represent patients whose condition was not controlled with ACE inhibitors and were then prescribed an ARB by a physician who wanted to try a different treatment modality, despite the lack of evidence supporting such a care plan. Here too, physicians might have falsely documented side effects in seeking possible therapeutic alternatives for patients with treatment failure. The precision of the data capture in this study might have been limited by the underreporting of the side effects of ACE inhibitors. The incidence of the side effects that were observed ranged from 4.3 cases to 10 cases per 1000 patients among newly treated patients and from 2.1 cases to 4.5 cases per 1000 patients in previously treated patients throughout the study period. These adverse effect rates are significantly lower than the rates of 1% to 39% that were reported in the literature,5-14 indicating patterns of underreporting, even when the PA constraint was enforced. The reasons for underreporting may be 2-fold. First, some patients might have not been sufficiently bothered by the cough to report it during their follow-up visits with a physician. Cases such as this may have been identified in the prospective cohort studies or in randomized controlled trials that were designed to evaluate side effects. This could explain the greater incidence of side effects reported in the literature compared with the incidence observed in this study. Second, physicians might have been more prone to report side effects when they were serious enough to warrant changes in their choice of drug. Accordingly, some coughs that were observed when physicians were reluctant to discontinue prescribing ACE inhibitors to well-managed patients might not have been documented. In addition, physicians may have reported side effects in the free text of a PA request during a visit without registering an ICD-9 code, and these cases would not be captured via electronic queries. These findings spotlight the limitations of EHR data for pharmacovigilance studies based entirely on the electronic entry of diagnoses. Side effects such as cough cannot be substantiated by laboratory or imaging data, and therefore misclassification as a result of suboptimal documentation may skew calculations of prevalence. Although, as observed in this study, PA requirements may improve documentation, the effectiveness of PAs for improving documentation is limited, because gaming and physician preferences for well-maintained patients may introduce bias, making the data problematic for robust scientific evaluations of incidence and prevalence. However, because the purpose of the study was to identify documentation patterns and not to calculate incidence, the findings of this study provide information that is necessary to answer the research question of this analysis. Data mining, as was done in this research, can reveal patterns of physician documentation that could reflect “gaming the system,” as well as be used in communication with physicians to address the phenomenon of gaming. For example, periodic reports to health plan physicians on changes in prescribing patterns could indicate to physicians that management has its finger on the pulse. This need not be done in an obtrusive, threatening way, but can instead be delivered in the spirit of collective organizational learning and raising awareness. The feedback could be aggregate, or could consist of a provision for each physician of a record of his or her prescribing patterns over time. PA constraints may incentivize physicians to document the side effects of drugs, potentially erroneously. The risk for gaming behavior in the documentation of drugs’ side effects increases when these events cannot be substantiated with laboratory tests or diagnostic imaging. Misinformation concerning the relative efficacy of drugs may incentivize physicians to falsely document side effects to receive approval for relatively expensive medications that they believe are beneficial for their patients, despite a lack of evidence to substantiate the effectiveness of the chosen treatment modality, as in the case of an ARB versus an ACE inhibitor. Dr Kahan, Dr Waitman, and Professor Chinitz reported no conflicts of interest. 1. Kahan NR, Chinitz DP, Waitman DA, Kahan E. When gatekeepers meet the sentinel: the impact of a prior authorization requirement for cefuroxime on the prescribing behaviour of community-based physicians. Br J Clin Pharmacol. 2006;61:341-344. 2. Fischer MA, Choudhry NK, Winkelmayer WC. Impact of Medicaid prior authorization on angiotensin-receptor blockers: can policy promote rational prescribing? Health Aff (Millwood). 2007;26:800-807. 3. Li EC, Heran BS, Wright JM. Angiotensin converting enzyme (ACE) inhibitors versus angiotensin receptor blockers for primary hypertension. Cochrane Database Syst Rev. 2014:CD009096. 4. Kahan NR, Chinitz DP, Blackman S, et al. Modifying prescribing behaviour of angiotensin receptor blockers by selectively rescinding managerial prior authorization requirements for losartan. Br J Clin Pharmacol. 2011;72:997-1001. 5. Strocchi E, Valtancoli G, Ambrosioni E. The incidence of cough during treatment with angiotensin converting enzyme inhibitors. J Hypertens Suppl. 1989;7:S308-S309. 6. Yeo WW, Ramsay LE. Persistent dry cough with enalapril: incidence depends on method used. J Hum Hypertens. 1990;4:517-520. 7. Woo J, Chan TY. A high incidence of cough associated with combination therapy of hypertension with isradipine and lisinopril in Chinese subjects. Br J Clin Pract. 1991;45:178-180. 8. Israili ZH, Hall WD. Cough and angioneurotic edema associated with angiotensin-converting enzyme inhibitor therapy: a review of the literature and pathophysiology. Ann Intern Med. 1992;117:234-242. 9. Chalmers D, Whitehead A, Lawson DH. Postmarketing surveillance of captopril for hypertension. Br J Clin Pharmacol. 1992;34:215-223. 10. Degaute JP, Leeman M, Desche P. Long-term acceptability of perindopril: European multicenter trial on 856 patients. Am J Med. 1992;92(4 suppl 2):84S-90S. 11. Visser LE, Stricker BH, van der Velden J, et al. 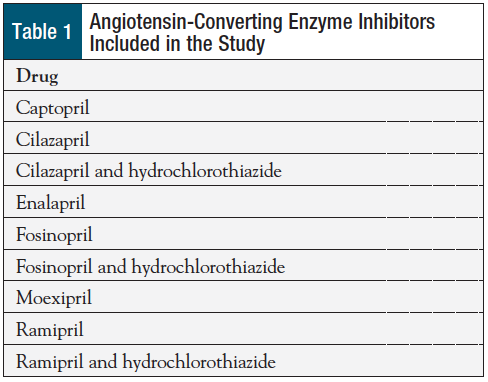 Angiotensin converting enzyme inhibitor associated cough: a population-based case-control study. J Clin Epidemiol. 1995;48:851-857. 12. Wood R. Bronchospasm and cough as adverse reactions to the ACE inhibitors captopril, enalapril and lisinopril. A controlled retrospective cohort study. Br J Clin Pharmacol. 1995;39:265-270. 13. Charlon V, Dollow S, Fidel J, et al. Reproducibility of angiotensin converting enzyme inhibitor induced cough: a double-blind randomised study. Br J Clin Pharmacol. 1995;39:125-129. 14. Tumanan-Mendoza BA, Dans AL, Villacin LL, et al. Dechallenge and rechallenge method showed different incidences of cough among four ACE-Is. J Clin Epidemiol. 2007;60:547-553. 15. López-Sendón J, Swedberg K, McMurray J, et al; for the Task Force on ACE-inhibitors of the European Society of Cardiology. Expert consensus document on angiotensin converting enzyme inhibitors in cardiovascular disease. Eur Heart J. 2004;25:1454-1470. 16. Kahan NR, Kahan E, Waitman DA, et al. The tools of an evidence-based culture: implementing clinical-practice guidelines in an Israeli HMO. Acad Med. 2009;84:1217-1225. In their article in this issue of the journal, Kahan and colleagues postulated that a managed care organization’s prior authorization requirement on angiotensin receptor blockers led physicians to overreport the side effects of angiotensin-converting enzyme inhibitors in patients for the explicit purpose of circumventing said prior authorization.2 One can certainly look at what so-called gaming entails and state that, by any other name, it would smell like lying. Similarly, although meant with the best intentions, the relationship between physicians and managed care organizations has, historically, been contentious. Physicians see their duty to patients as being their advocates and promoting their health at all costs; to that end, it was well-known as far back as 1991, as Morreim suggested, that physicians were “gaming the system” around “economic agents who own the medical and monetary resources of care.”4 In his article, Morreim notes that such gaming is “morally and medically hazardous,”4 but that does not stop the practice from occurring. Freeman and colleagues note that many physicians have no qualms about using deception to obtain medical care for a patient when denied authorization by a third-party payer.5 Moreover, some physicians even attempt to justify the practice of deception, suggesting that if physicians coordinate their gaming activities against the third-party payer, they will be successful in rescinding what they believe to be onerous prior authorization requirements.6 Others, however, refute that argument by offering that lying to the payer promotes a debasing of moral character and subsequent moral disengagement, which is something we do not want in our healthcare system.7 And the debate continues. 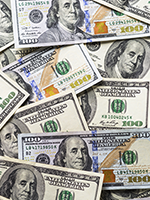 PAYERS: Payers develop prior authorization and similar tools to ensure the appropriate utilization of medical resources. They base these processes on evidence-based criteria and change them as the evidence dictates. If payers are given reason to suspect that physicians are working against them and are not enforcing the coverage rules that the patient, the employer, or the government purchases on behalf of the patient, they have no alternative but to continue to engage physicians in a relationship that is not based on trust, but rather on suspicion. PATIENTS: In our new era of promoting the Triple Aim of care quality, health, and cost-savings, payers and physicians want to enhance the patient experience, in addition to promoting the cost-savings9 that payers want and the improved provision of quality care that physicians want. Wouldn’t the patient experience be best enhanced when payers and physicians work toward the common goal of improving each patient’s health as part of a broader goal of improved population health? ALL STAKEHOLDERS: In the long run, for all of us to improve our healthcare system, we need to be aligned in our vision of how we work together. This requires us to view the world from a perspective that may not be completely our own, but one that meets our individual morals and our collective ethics. 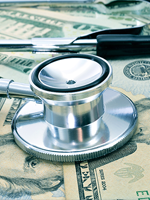 If payers and providers can continue to develop a trusting relationship based on beneficence, nonmaleficence, and justice, then the patient will certainly be able to improve his or her health status in an autonomous way. 1. Wikipedia. Gaming the system. August 7, 2016. https://en.wikipedia.org/wiki/Gaming_the_system. Accessed September 1, 2016. 2. Kahan NR, Waitman D-A, Chinitz DP. Revealed opportunism: how physicians “game” prior authorization protocols until they are rescinded. Am Health Drug Benefits. 2016;9(6):304-311. 3. Bok S. Lying: Moral Choice in Public and Private Life. New York, NY: Vintage Books; 1999:6. 4. Morreim EH. Gaming the system. Dodging the rules, ruling the dodgers. Arch Intern Med. 1991;151:443-447. 5. Freeman VG, Rathore SS, Weinfurt KP, et al. Lying for patients: physician deception of third-party payers. Arch Intern Med. 1999;159:2263-2270. 6. Tavaglione N, Hurst SA. Why physicians ought to lie for their patients. Am J Bioeth. 2012;12:4-12. 7. Sade RM. Why physicians should not lie for their patients. Am J Bioeth. 2012;12:17-19. 8. Fullinwider RK. Sissela Bok on lying and moral choice in private and public life—an amplification. 2007. http://infed.org/mobi/sissela-bok-on-lying-and-moral-choice-in-private-and-public-life-an-amplification/. Accessed September 1, 2016. 9. Berwick DM, Nolan TW, Whittington J. The Triple Aim: care, health, and cost. Health Aff (Millwood). 2008;27:759-769.